Megan-Geoffrey Prins, from Riversdale, South Africa, has performed as soloist and collaborative artist in North America, Europe, Africa, and Hong Kong. 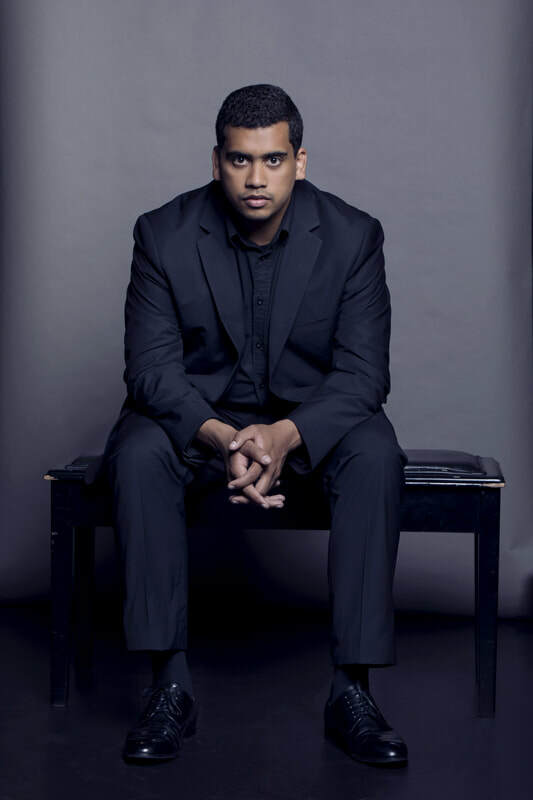 Recently named the 2019 Standard Bank Young Artist in Music, Prins has featured in various local and international piano competitions, including the Honens International Piano Competition, the Hong Kong International Piano Competition, the UNISA National and International Piano Competitions, and the Midwest International Piano Competition. Prins made his concerto debut at the age of 11. He has appeared as soloist with orchestras in Germany, the USA, Botswana, and South Africa. His recent performances of Rachmaninov’s Piano Concertos Nos. 2 and 3 were praised by German and South African critics for its “technical precision,” “artistic expressivity,” and “transcendent” interpretation. Prins studied a Masters in Music and Doctor of Musical Arts degree under Antonio Pompa-Baldi at the Cleveland Institute of Music where he was awarded the Sadie Zellen Piano Prize, the Arthur Loesser Memorial Prize, and the Maurice and Judith Kaplow Prize for Uncommon Creativity. He received a Bachelor of Music degree from the University of Stellenbosch in South Africa. Local achievements include first prizes at the UNISA 120th Anniversary Competition, the inaugural Stellenbosch International Chamber Music Festival Competition, the 5th UNISA National Piano Competition, the 2016 Muziq Instrumental Competition, and the 2017 SAMRO Overseas Scholarships Competition.